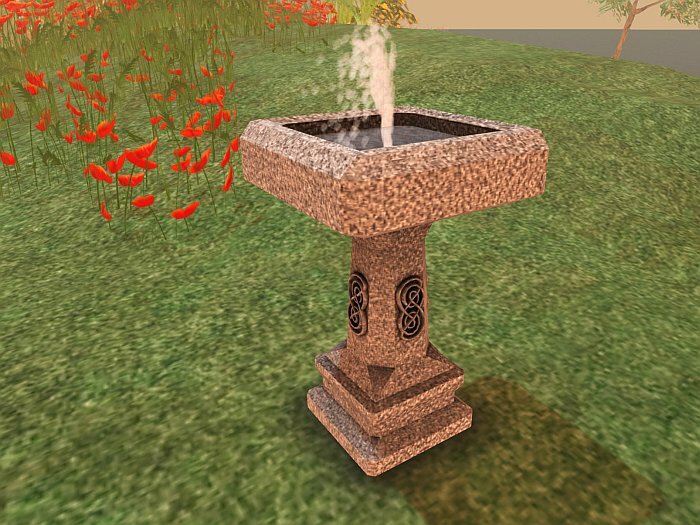 Knottic is a celtic-style birdbath that features celtic knots lovingly engraved on its sides, water, a little fountain, a soft shadow for the ground, and two couple poses for Petites. It's hard to believe that it still only has a Land Impact of 3! And thanks to the fine-tuned Level of Details and Physic shapes, it will still look good from a distance.